On Jul 15, 1995 the Zetas stated that after the Pole Shift, the oceans would be lush, light green in color, on the rebound from all the CO2 in the atmosphere from volcanoes. They likewise predicted on Jul 15, 1995 that the tail of Planet X would lay down iron oxide red dust, heavy enough to turn rivers and ponds blood red, per legend. The gases and dust curl toward the Earth, and are first noticeable as a fine red iron dust, turning the water a bitter blood red. Does this dust not burn in the available oxygen, and end as so many tiny flying star specs? This dust, already oxygenated, does not burn. On Aug 10, 2006 the Green Geek website reported the results of an experiment, whereby seeding the ocean surface with iron cause the phytoplankton to flourish and not only turn the surface green, it consumed the CO2 in the air above! It was not just the CO2, it was the addition of iron, that allowed this to happen. The iron oxide from the tail, combined with excessive CO2, would indeed turn the oceans lush, as the Zetas had predicted! Experiments in the early 1990s that seeded a region of the Pacific Ocean with iron dust saw a phenomenal 20 fold increase in the local phytoplankton population, with a corresponding decline in atmospheric carbon dioxide by roughly 2,500 tons within a period of 2 weeks. California-based Planktos Inc. believes this process can be repeated on a large scale to put a serious dent in our excess carbon dioxide problem. Since 1980, global levels of phytoplankton have dropped 25%. 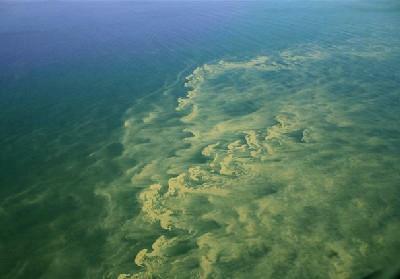 This is significant because phytoplankton, tiny floating surface algae, perform 50 percent of Earth's photosynthesis. The result of this is the production of 50 percent of our oxygen, and removed half of our carbon dioxide. At 1980 levels, this meant the metabolism of 50 gigatons of carbon dioxide each year. Since 1980, the loss in phytoplankton has resulted in a reduction of carbon dioxide metabolism of nearly 3 gigatons; equivilant to approximately half of all industrial and automotive emissions each year. 80 percent of the world's ocean water includes phytoplankton, the other 20 percent is said to be high nutrient/low chlorophyll (HNLC) because is it virtually devoid of phytoplankton. Although these areas are rich in most of the nutrients required by plant life, they are missing one crucial ingredient: iron. Because the other nutrients (phosphorus, nitrogen, silicon) required for growth are already present, the addition of iron causes a very rapid algae bloom.